Undead Messiah 2 explains what is causing the zombie apocalypse and who the mysterious masked messiah is. Tim is obsessed with zombies. He plays zombie video games. He watches zombie movies. Little does he know how useful that will soon become in real life. SPOILER for Undead Messiah 1 below. I recommend reading them in order. Tim watched his parents become zombies, found out he has a red-eyed baby half-brother Elian, and was locked in military prison in volume 1. Tim awakens in the castle hide-out of the mysterious masked messiah, who is actually Dr. Ritch. Ritch has given him an iv of an unknown purple fluid. Ritch wants Tim to become his prophet and tell the world of his greatness. Tim has other plans as he hasn’t forgiven Ritch for killing his father, though his dad was admittedly a zombie at the time. The zombie world building is impressive and unique within Undead Messiah 2. 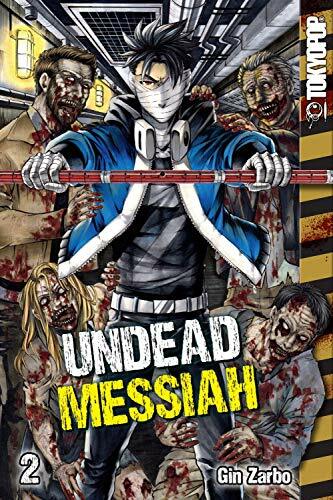 If you like zombies, you shouldn’t miss the Undead Messiah series as I’m sure some of the innovations will be quickly copied by other writers. 4 stars! Thanks to Tokyopop and Edelweiss+ for an advance copy in exchange for an honest review. Not one of the better issues but moves from point A to Point B. The Whisperer War is finally fought. Rick’s group has an internal war brewing with the Sanctuary. Negan loses an old friend and reveals some of his backstory. Anticlimactic ending to the Whisperer War leaves this volume missable. Nothing much happens that won’t be fleshed out more in the next volume anyway. I get these books from the library. After waiting through a 5 month line, I was disappointed. My only consolation is I didn’t spend $15. Unfortunately, I can’t recommend buying this mediocre volume in this excellent series. However, if you can read it for free, it is an acceptable way to spend a few hours. 2 stars. Even though this one was a bust, the next volume, A Certain Doom, looks awesome! All of these books are so much better than the television show (and different people are alive and dead so they could be consumed simultaneously without major spoilers). Interesting plot but illustrations are not easy to interpret. 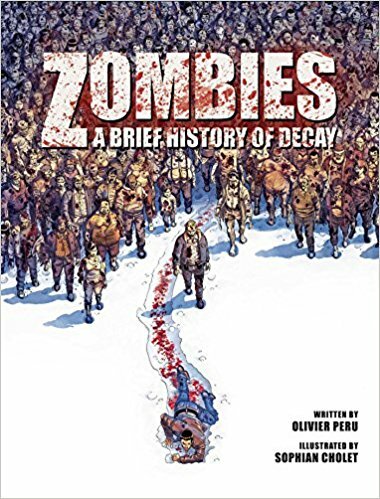 This is a graphic novel about a zombie apocalypse. 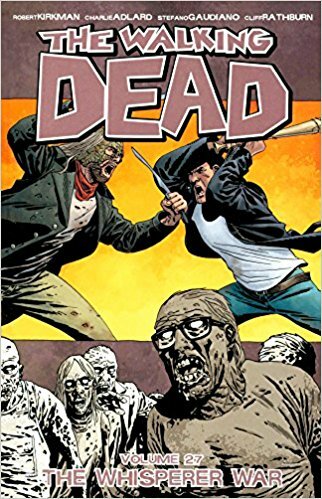 I have read many books with this topic and 25 volumes of The Walking Dead graphic novels previously so I wasn’t expecting much innovation. However, this book’s plot surprised me with its setting in the Pacific Northwest and its simple but plausible zombie solution. I enjoyed the humor in having one of the heroes be basically a Canadian Bruce Campbell who tried to sound the alarm beforehand but was dismissed as being just an actor. I wasn’t that happy about some of the stereotypical characters (I.e. crazy Montana rednecks and conceited scientists) but that didn’t impact my enjoyment of the main plot. My main concern was that the illustrations were very dark and many of the male characters looked similar. The third, and last, chapter alternated between several different groups of humans traveling and fighting their way across the United States. Rather than just labeling the state or city, the illustrator used different color palettes; green, blue and brown; for the different groups. Unfortunately, it took me a third of the chapter to figure this out so I ended up restarting the chapter so I could see the progress of each group. The plot is complete within this single volume. 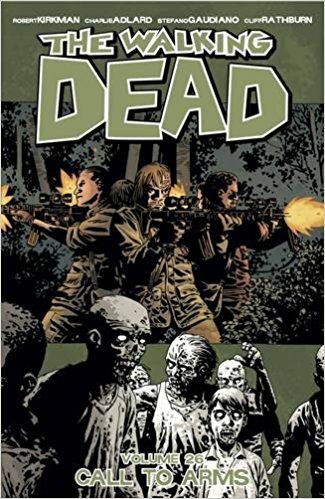 I would recommend it to hard-core zombie apocalypse fans but not to most graphic novel readers due to the poor illustrations though the plot was interesting. Thanks to the publisher, Insight Comics, and netgalley for a copy in exchange for my honest review.